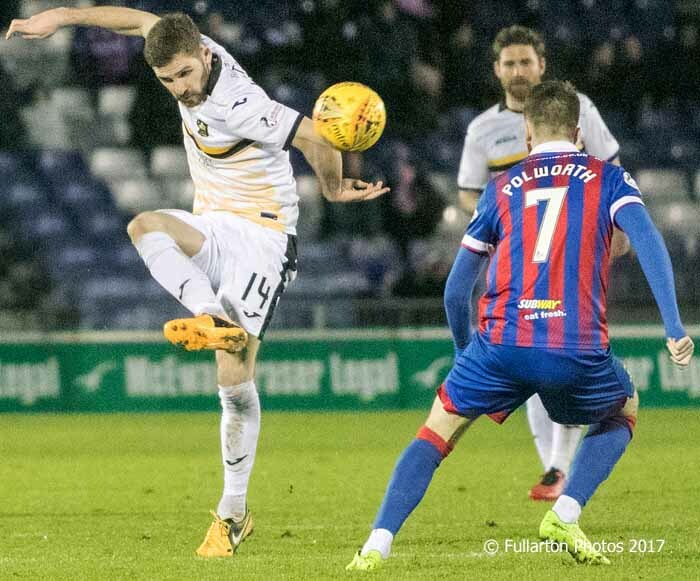 DUMBARTON travelled through frost and snow to Inverness only for their six game unbeaten record to be ended. They received a warm Highland welcome off and on the pitch, and were perhaps unlucky not to take a point from a hard-fought encounter. Thistle put Sons under pressure from the start. The nearest the visitors came to scoring in the first half hour was from a Tom Walsh shot that was tipped over the bar by keeper Mark Ridgers after fine switch play from Ally Roy on 15 minutes. But four minutes later the hosts were ahead. A free-kick from out wide was glanced into the far corner of the net by Carl Tremarco. By the break Sons had enjoyed several chances, but Inverness were proving the better side. Dumbarton keeper Scott Gallagher made a couple of important stops in the second half, as his team tried to level the score. On 62 minutes Tom Walsh launched a great ball across goal, but there was no one in a Sons shirt to tap the ball home. Six minutes later Roy fired over, while busy Walsh had another chance four minutes from the end but shot wide. The visitors continued to push for an equaliser into time added on, but it was not to be. The result leaves Sons in eighth place in the Championship. The picture shows Kyle Hutton chipping over Liam Polworth.